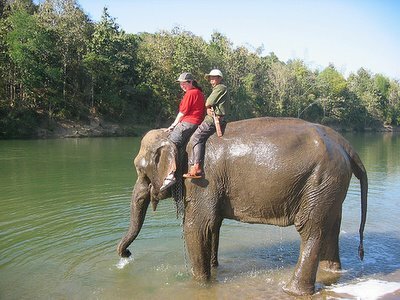 Becca and Brian's Grand Adventure: Maybe you can be a Mahout! Yahoo for the picture of the elephant! Ethan loves it. Thanks! So when your kids ask if they can have a pet, are you going to say "sure"......and we know all about taking care of elephants.